A Pink Cape and Eyemask including a matching Cape and Eyemask – Ideal for a Superhero theme, TV & Film, or any fancy dress occasion! Get saving your friends in no time with this super Pink Cape and Eyemask. This Pink Cape and Eyemask comes complete including a Cape and Eyemask. 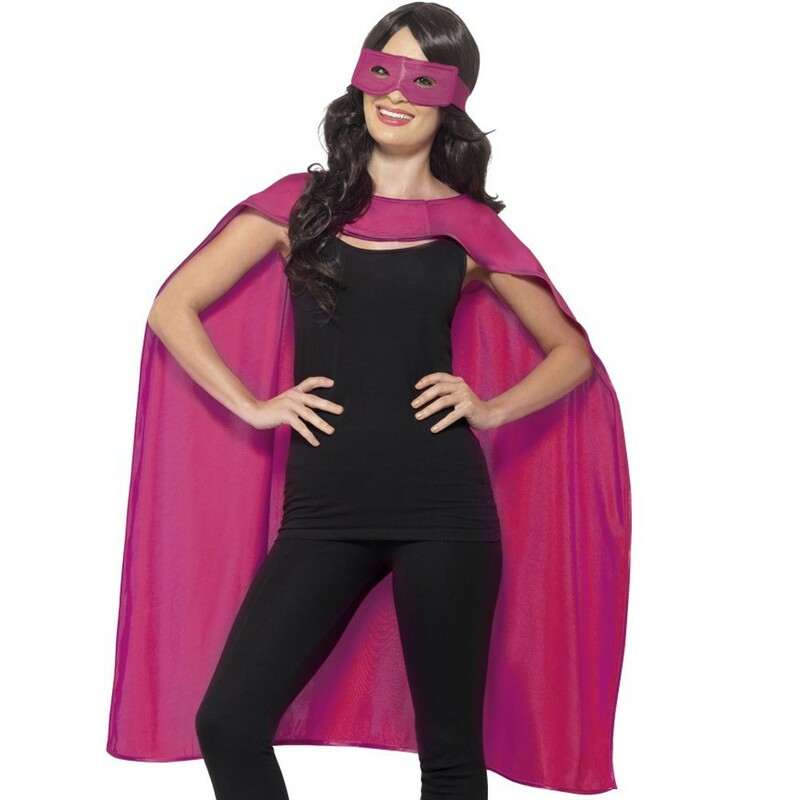 This simple Pink Cape and Eyemask superhero kit comes complete including a matching satin Cape that features a touch close fastening at the front, and a matching Eyemask to complete this quick and simple fancy dress look. Perfect for a Superhero theme, a TV & Film, Book Week, or any fancy dress occasion, this PinkCape and Eyemask will be sure to impress! So get ready to party in super style with this brilliant PinkCape and Eyemask. A Pink Cape and Eyemask.